The morning sun was especially beautiful that day, rising in the East behind her a she walked toward her groom. 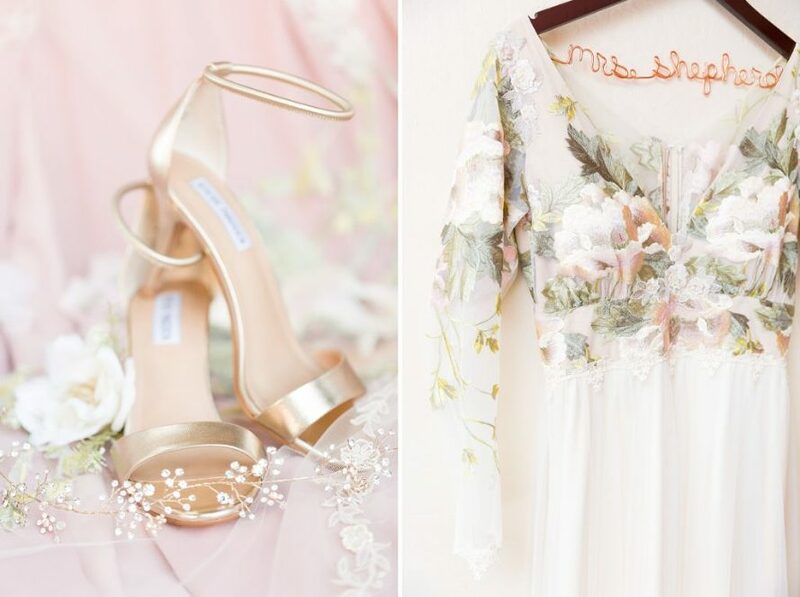 The silk sage green leaves and blush rose appliqués on her sleeves adorned her romantic gown and popped against the champagne skirt and golden sunlight, illuminating her in a heavenly glow as if she belonged on a stained glass window in a european cathedral. Her dark curls swept behind her shoulders, giving contrast to the light colors beneath them. He faced the West, his lips pressed together in a tight smile, listening to the sound of her steps behind him. The moment had finally come, and he could feel her presence as her heels clicked and clacked on the pavement with every step she took. It was just the two of them, the quiet morning breeze rustling the hedges close by, so intimate and unforgettable. She giggled as she spoke, telling him it was time to turn around, and he flipped toward her as fast as he could. He was so ready to see her. And when he did, he breathed a sigh of awestruck excitement as he took in the sight of his best friend in her wedding dress, looking more incredible than he could have ever envisioned, rendering him speechless. When he caught his breath, they hugged and laughed, smiling so bright and realizing that they would be husband and wife so soon. It was pure bliss! 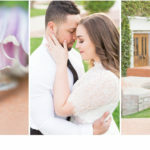 Brenna and Jonathan’s romantic brunch wedding was one for the books in so many ways, mostly as it was so incredibly beautiful and unique. 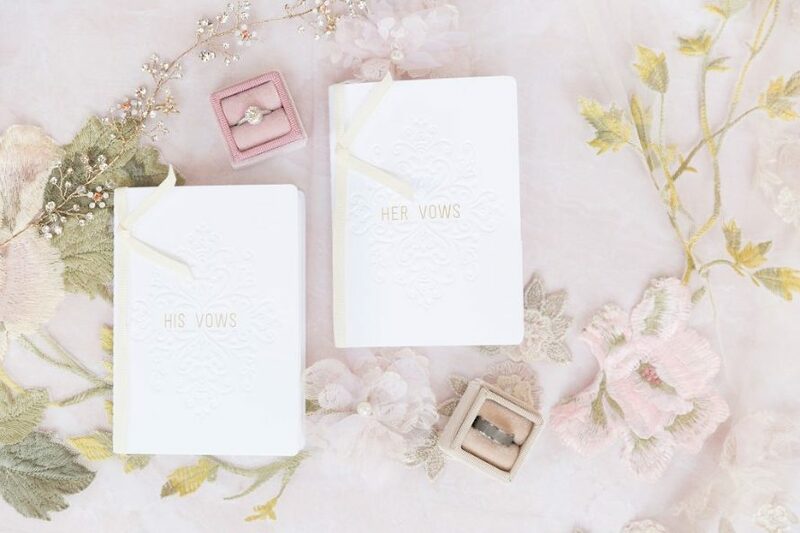 After a sweet ceremony, these two celebrated their marriage with loved ones as the terrace was filled with the smell of maple syrup and mimosas while the light dappled through the treetops on the reception below. 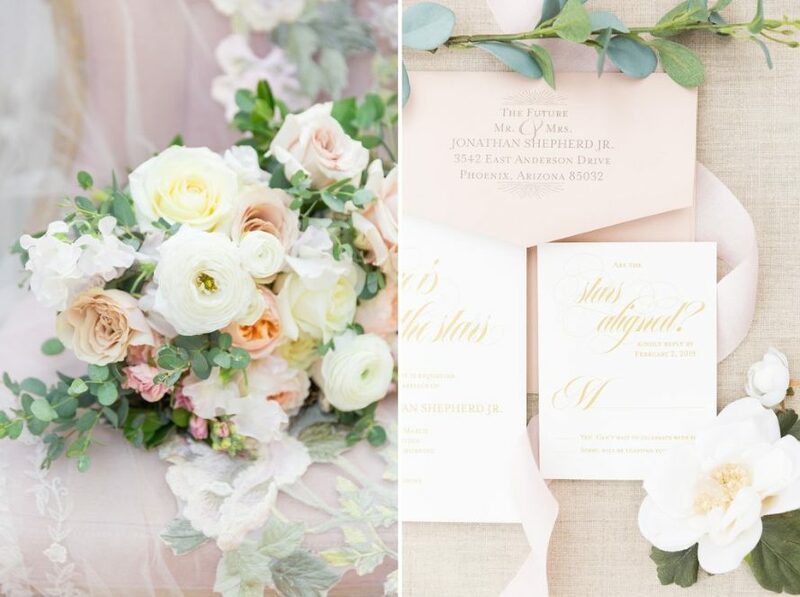 Soft champagne colored roses popped against the deep sage eucalyptus with sparkling glasses and blush macrons occupying the hands of their guests as they laughed together. The bridesmaids dusty rose dresses served as the perfect backdrop to their hoop bouquets, a detail that was so different from the norm and so breathtaking. And if you haven’t noticed, I was absolutely obsessed with Brenna’s gown and veil! 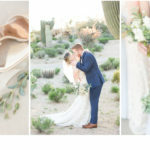 I have been itching to capture a dress designed by Claire Pettibone (my favorite dream dress designer), so when I found out that Brenna’s gown was a Pettibone, I literally squealed with excitement! The delicate florals draped down her sleeves and continued throughout the bodice, while the whimsical veil was the perfect classic touch that I simple adored. I would wear this exact same dress if my wedding had been this year and not 2012, just saying…(don’t worry, I still absolutely love my wedding dress)! But after all the decor is put away and that dream dress is zipped in the closet, you two have each other, and that is everything. I’m so happy for you Brenna and Jonathan, and I can’t wait to watch your love story unfold. Here’s to many more mornings together, sharing brunch over the table while wearing sleepy smiles instead of fancy clothes. Those are the best moments, the ones that matter most, and the ones that will forever remind you of this day.